Entertainment Weekly has plunged deeply into Agrabah. The outlet has released several photos and interviews from the set of Disney’s live-action Aladdin remake, as they have done for a myriad of productions in the past. I’ve always looked forward to them doing these articles; they serve to build plenty of hype. In this case, however, I have to say that I’m not impressed. While Mena Massoud looks a bit more like Aladdin in these photos, I can’t help but get Solo vibes from them. 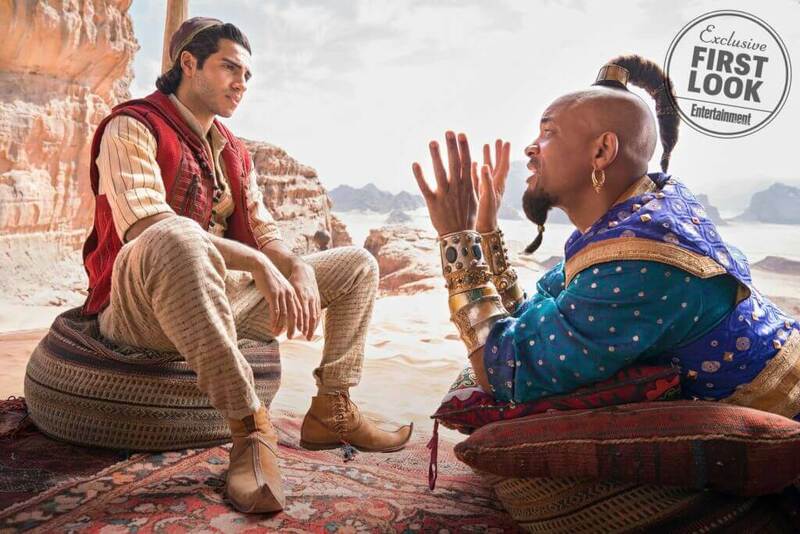 Like that standalone film, the Aladdin remake looks like expensive cosplay and nothing more. Even Will Smith’s costume doesn’t look like it belongs in a big budget major motion picture from Disney. In point of fact, Will Smith looks like, well, Will Smith. I don’t really see the Genie just yet, although I’m sure he’ll pull it off with aplomb. According to the interview with Smith, it’s good to know he’s at least aware that he has big shoes to fill. He seems to be approaching the role with a sense of humility, and that will only help the performance. I’m still looking forward to the Aladdin remake, but once again, Disney seems to be relying on nostalgia to sell the product. With the costumes looking this cheap, they’re going to have to do better if they want this to be another Jungle Book or Beauty and the Beast. I’d be remiss if I didn’t mention director Guy Richie’s proclamation that Jasmine’s a more well-rounded character in the Aladdin remake. Jasmine has always been someone who wants to live her own life without having to acquiesce to what everyone else wants. She had to think on her feet, and it was only because of her ingenuity that the heroes ultimately won the day. That, to me, is the definition of well-rounded character and doesn’t need to be improved upon. At the end of the day, I’m glad the producers are at least trying to think outside the box. We’ll find out if this all paid off when the film opens May 24th. Have these images and interviews raised your anticipation for the Aladdin remake? Let us know in the comments!